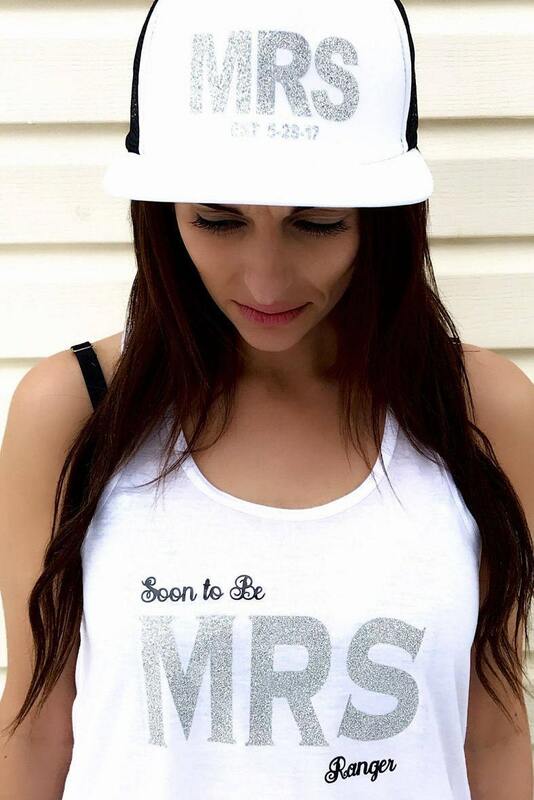 Soon to Be Mrs Customized Tank Top and hat for the bride to be in your life! 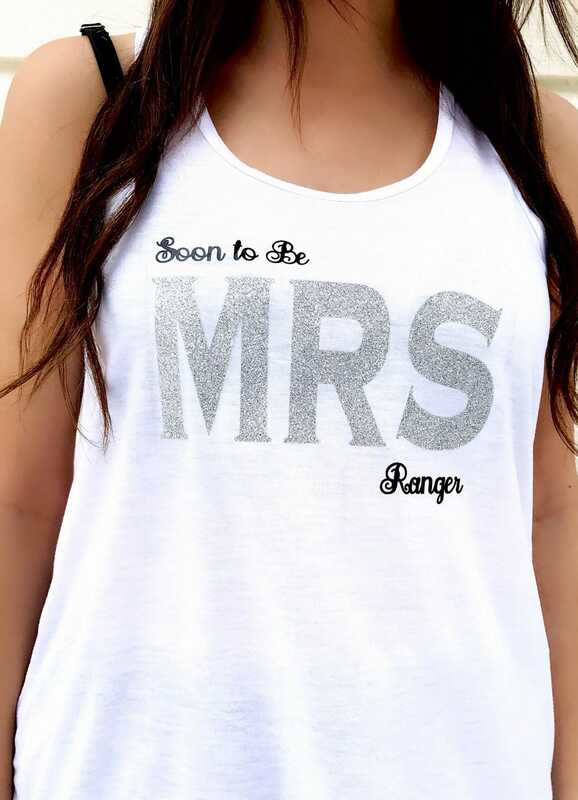 Great shower gift or bachelorette party gift! - Check the specs in the listing pictures before you order. 3. 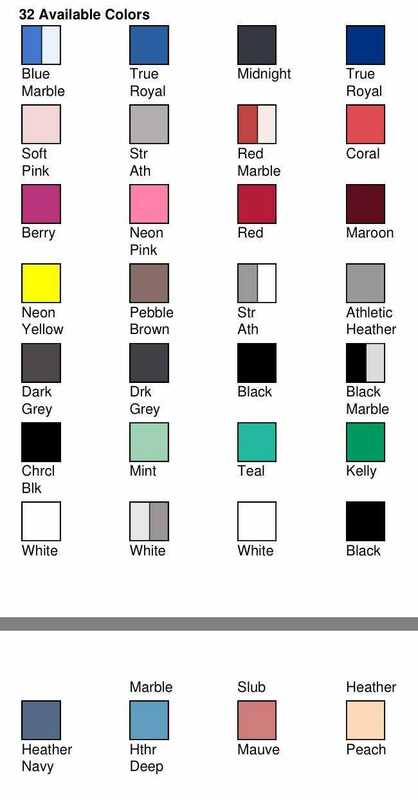 White or black for the color of the soon to be and last name. 2-5 days processing time on your shirt before shipment. Message me if you need this asap.